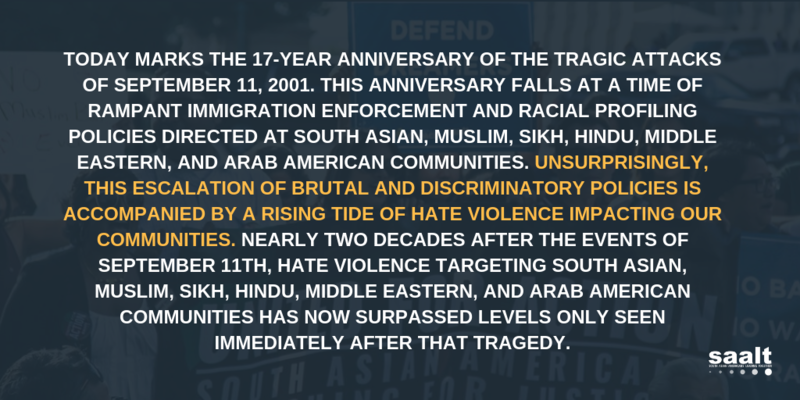 The 2009 South Asian Summit is fast approaching (register now!) and its shaping up to be an amazing experience. The latest development is the announcement of the speaker for the ChangeMakers Awards reception, Sudhir Venkatesh, Columbia University professor and author of some very interesting books about the underground economy in inner city America (including one I am currently reading: Gang Leader for a Day). We are very excited to bring Venkatesh’s insight and perspective to the Summit. So don’t miss out on any of the exciting events and register for the Summit (Apr 24-26 in Washington, DC) today! Home to the fifth largest South Asian population in the country according to the 2000 Census, the Washington, DC area is a hotbed of desi culture. We’ve got gurudwaras, mosques, temples and desi groceries galore. SAALT is collaborating with the Asian Pacific American Legal Resource Center (APALRC) to learn more about South Asians who live and work in the District through the South Asian Community Empowerment Project and we are looking for volunteers! So what do volunteers do, you ask? It’s simple, volunteers conduct street-side surveys of South Asians in Washington, DC. You’ll be collecting information that simply isn’t out there right now about the community here in DC and learning about your fellow District natives. All volunteers will be trained in surveying and community work. Want to volunteer? email Maha Khan at maha@saalt.org and we hope to see you out there! Also, we’re going to be writing more about this as it gets closer but the National South Asian Summit is happening, right here in DC, from April 24-26. This is an exciting opportunity for students, professionals, activists (really, everyone!) to make connections and strategize around empowering the South Asian community. More details to come, but we’re looking at a lot of exciting speakers and guests, so register today!